Moonraker VFX were recently commissioned by Sarner International to create a film for the world-class visitor attraction, the Calvados Experience in Pont l'Evêque, Normandy. Set on the site of France’s most famous distillery, the Calvados Experience takes the visitor on a journey from the transformation of the humble apple to the famous apple brandy. 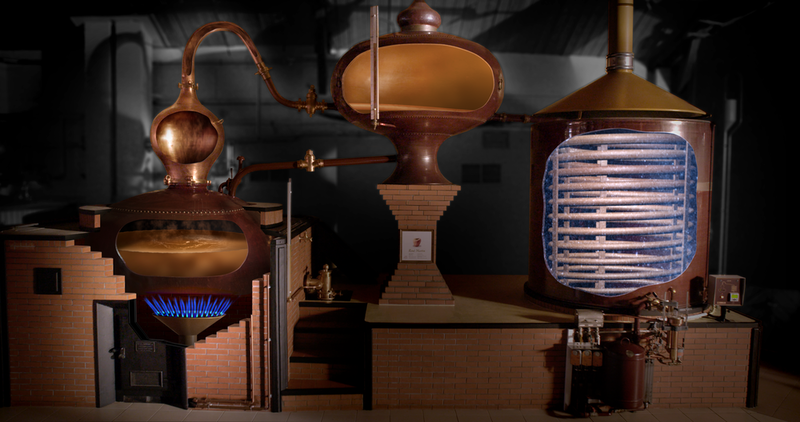 The team at Moonraker VFX used stunning shots and 3D projections to explain this most unique of distillation processes. Our artists used Maya, Nuke and After Effects to create all our shots including an incredible 3D apple mountain projection of 10,000 tumbling apples. 8 Days that Made Rome – Coming Soon! Team Moonraker are very excited to watch 8 Days That Made Rome, a new eight-part programme exploring the 8 key days historian Bettany Hughes believes defined the history of ancient Rome. It was an absolute pleasure to work with the lovely team at October Films on this production and we are extremely proud of what we have achieved in bringing this incredible account to life through our visual effects. 8 Days That Made Rome will be broadcast on Channel 5 on Friday 27th October.